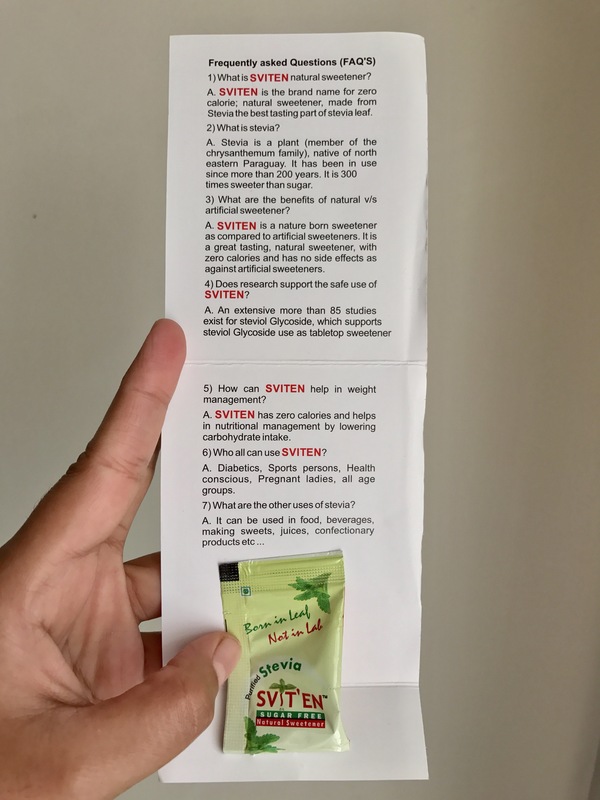 We recently received a pack ofSVIT’EN Natural Sweetener and we used it for a period of two weeks. We used it in various recipes and we used it to sweeten our teas and coffee. After so much has been written about how Aspartame is directly connected to cancer we have been staying off any unnatural sweetness. 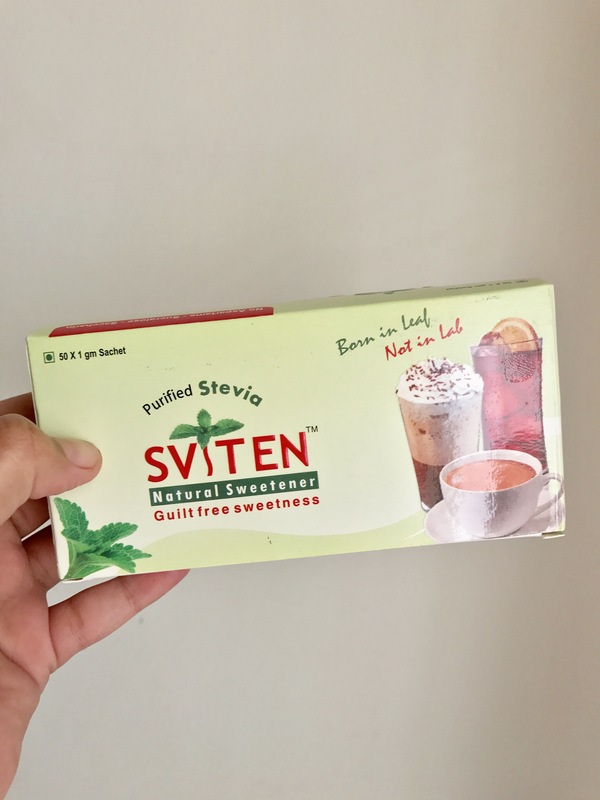 SVIT’EN, however, is different, it is a Natural Sweetener made with stevia. 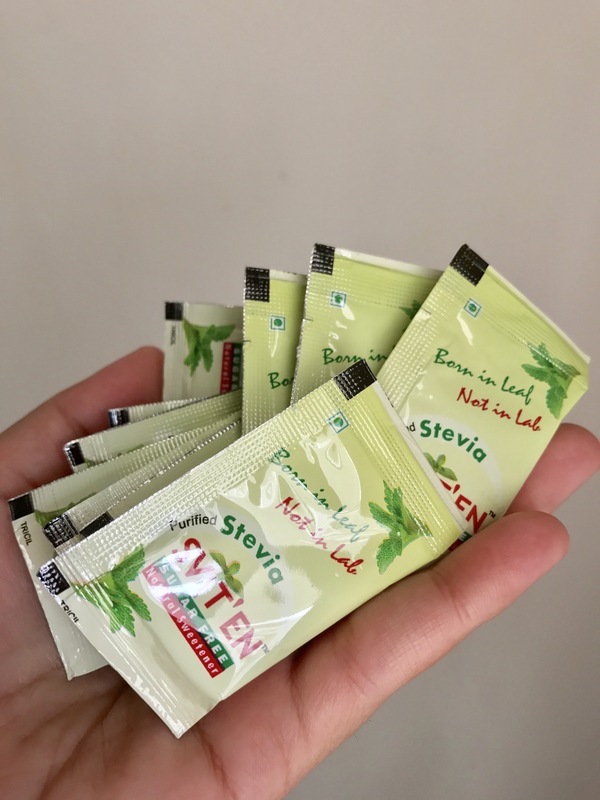 So each pack contains purified stevia or steviol glycoside. The pack claims that 1 sachet of sugar equals one teaspoon of sugar. So we put it to the test. 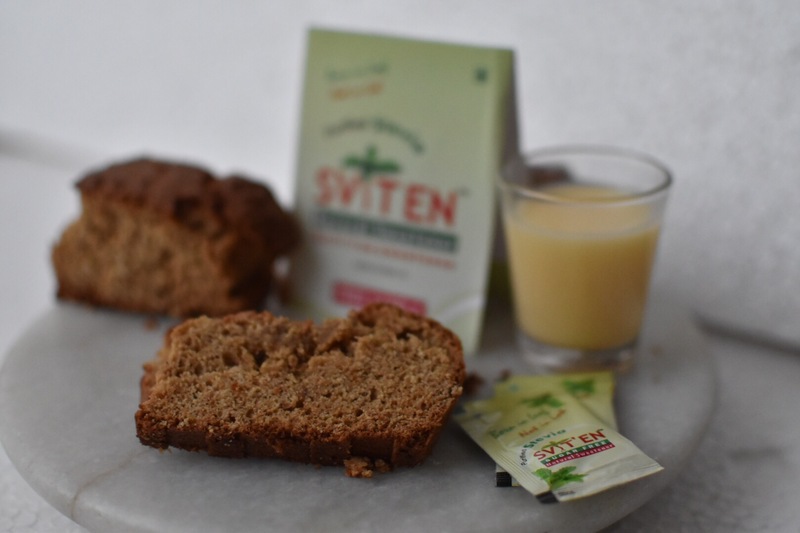 We made a banana bread that usually contains 1 cup of sugar so we added around 30-34 little sachets of SVIT’EN Natural Sweetener. The bread tasted delightful. There wasn’t much of a difference at all. We also made a light summer mango drink and sweetened it with SVIT’EN. There is something brilliant about eating healthy. It releases hormones you never thought you had in you!